At 4:39 (PST) this morning, after over seven years and three billion miles of travel, NASA's Dawn spacecraft was pulled into Ceres' orbit, becoming the first ever mission to orbit around a dwarf planet. An hour after the spacecraft slipped into the planet's orbit from 35,000 miles away, NASA announced that they had received a signal from the craft that all systems were up and running. 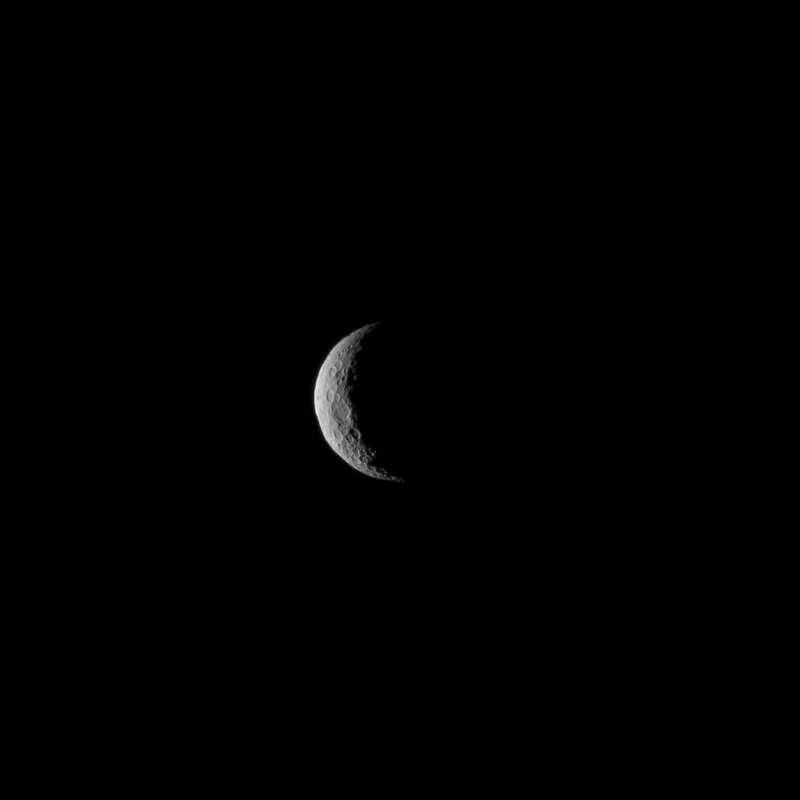 As Dawn has moved closer and closer to the planet, we've gotten more and more information about Ceres, and with that information have come more and more questions. Now some of the questions might begin to be answered, but also we can expect some of the mysteries to deepen as more of the planet's surface reveals itself. Currently, the spacecraft is on the side of the planet facing away from the sun, as you can see in the most recent snap NASA has released from March 1st. By mid-April, however, it should loop around for a much sharper look at this planet now newly in our view.